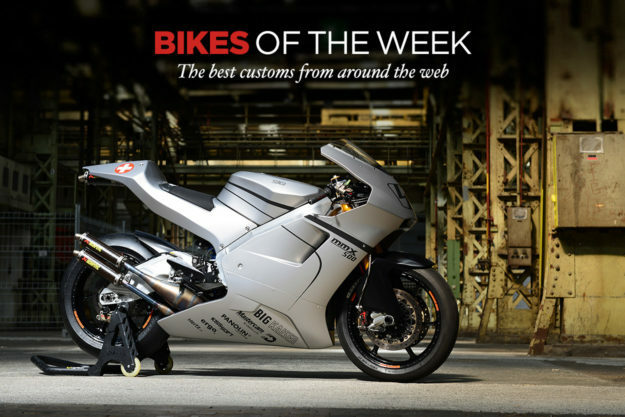 A two-stroke track day machine costing a cool $140,000, a KTM EXC250 with a 1970s vibe, and news of the first twin-cylinder to attempt the Red Bull Romaniacs event—a heavily modified BMW R nineT from Touratech. KTM EXC250 by Vintage Addiction Crew This KTM EXC250 comes to us courtesy of Barcelona’s Vintage Addiction Crew and man, has it ever nailed the mix of old and new. The old is front and center, with retro styling punctuated expertly by a chunky seat and 70s era side panels. The tank and number plate once called a 1970 KTM GS6 home, which helps the vintage vibe. The new, of course, is what lies beneath. You may have noticed those radiator guards sitting up front; well the GS6 was a two-stroke, and this bike obviously isn’t. This bike is a 2004 model EXC. Suter MMX 500 I’m willing to wager there’s barely a handful of readers who wouldn’t love the chance to try taming a two-stroke around the track. And if you’re considerably well-heeled, we’ve found the bike for you. 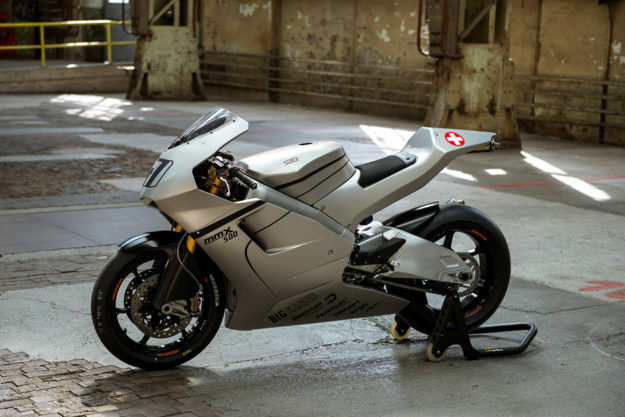 Limited to just 99 production examples, the Suter MMX 500 may be the ultimate can-of-bees powered weapon that $139,500 can buy. With 195 horsepower on tap and a scant 280 pounds (wet) to move around, I wouldn’t recommend picking one up for junior’s sixteenth birthday. But for seasoned racers seeking the ultimate thrill, this is the machine to get. And thanks to a new partnership with Arch Motorcycle Company, it’s now available to North American nutters. The 576cc V-four powering this beast features Mectronic fuel injection and lies beneath a full set of carbon fiber fairings. 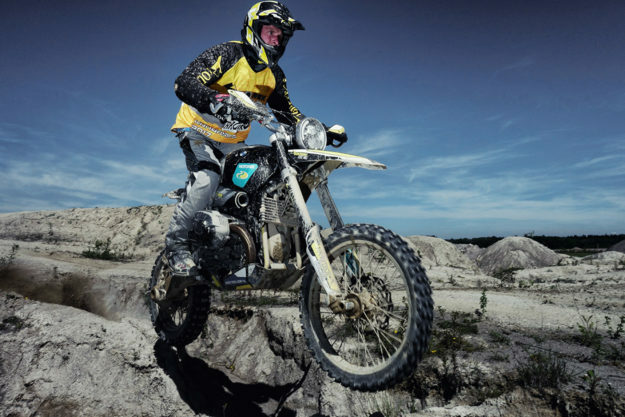 Suspenders are top shelf Öhlins units, with FGR300 forks and a TTX36 shock in the rear. Stock wheels are aluminum OZ items, but you can shave some extra weight from the bike (and your bank account) by upgrading to magnesium units … or even carbon fiber. 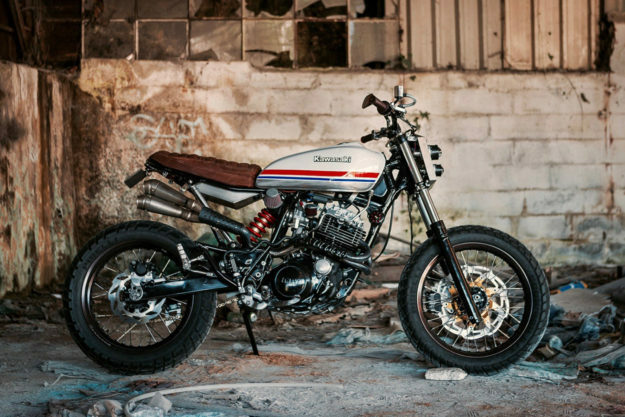 Yamaha XT 600 by North Wheels Motorcycle Club The North Wheels Motorcycle Club sounds like our kind of group: an open and welcoming community for riders, wrenchers and enthusiasts alike. 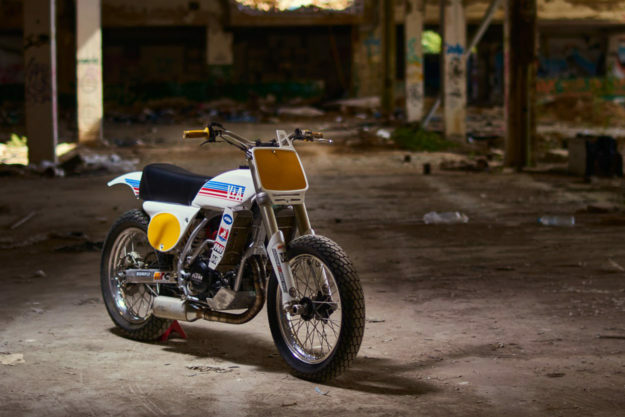 They’re based in the Basque country, around San Sebastián in Spain, and their latest creation to ignite the hills is this Yamaha XT 600 Scrambler. First things first, yes, that Kawasaki tank can be a touch misleading—but it embraces the open and accepting communal spirit of the club. And even if those hippy dippy notions don’t sell it for you, it certainly doesn’t look out of place. In fact nothing does. That’s because the builder behind this XT, Rubén González Leonardo, worked closely with the club members at Zezen Motors to make sure the fit, finish and proportions would be spot on. If Wes were writing this, I do believe he’d call it kiff. 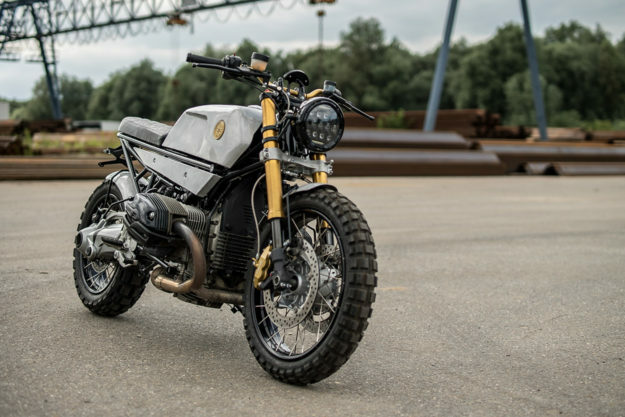 BMW R nineT by Touratech If you happen to own a big ADV bike, or rub elbows with riders at your local Starbucks, the chances are good that you’ve heard of Touratech. The German accessories giant specializes in the farkles that protect and ease a rider’s trek into the unknown. And every now and then, they turn their attentions to a full-blown build. This time, a BMW R nineT has gone up on the bench to receive the full enduro treatment. Touratech is pretty keen on racing—it provides invaluable data for new product development and is a hell of a lot of fun—so this R nineT is headed to Sibiu. It’ll compete in possibly the toughest race in the world, the Red Bull Romaniacs. BMW R 1200 R by Ironwood Custom Motorcycles Amsterdam-based IWC is quickly becoming the beacon for R-series Beemer builds. Head man Arjan van den Boom has consistently dazzled us with the little touches he adds to make IWC’s work stand out. This time around it’s a newer R 1200 R that went under the grinder and, as usual, the result is pretty damned special. The touches on ‘The Scumbag’ start with the bodywork and end with the badges. But before we get into those, some of the other niceties Arjan has fitted need addressing first. Up front, the Telelever suspension has been scrapped in favor of a lighter and leaner unit from a Suzuki GSX-R1000. To make the new USD unit work though, the frame needed some re-thinking to connect the triples properly, so a new custom mount was grafted. Out back the Paralever shock remains but the stock subframe has been binned and a new custom unit fitted up, now topped by a diamond-stitched, ‘brat style’ seat. The bodywork though, is the standout. Clear-coated brushed aluminum abounds, courtesy of The Custom Factory, completing the rough n’ ready style. The roundels have been replaced by brass badges with a Buddha logo—to personalize the build for its rider, Buddha to Buddha’s Dennis Rugebregt.